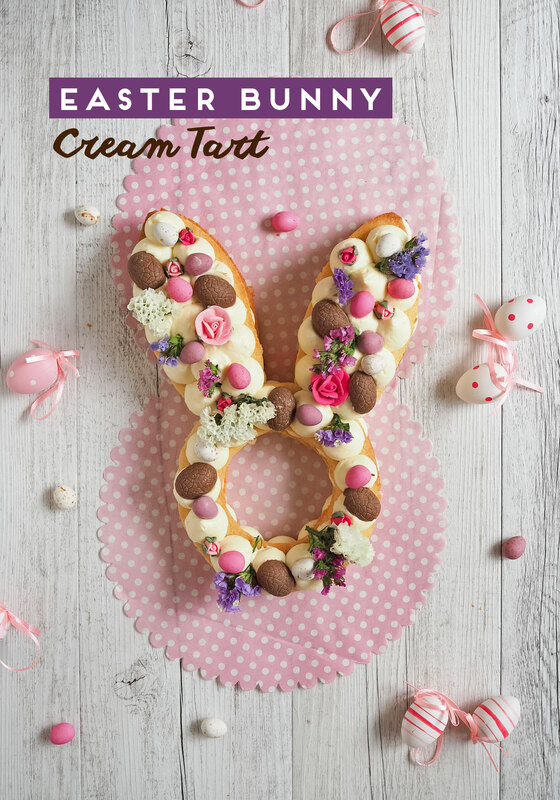 Cream tarts are going viral right now – with good reason! 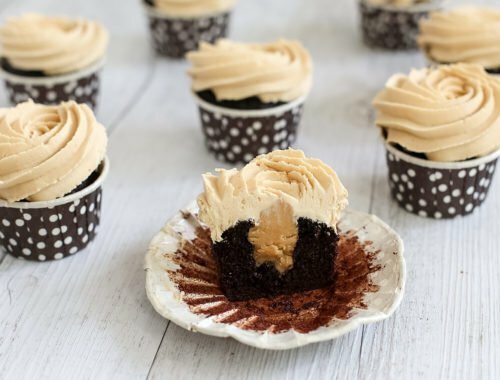 These desserts are fairly simple to make and a whole lot of fun to decorate. You’ve probably seen these double decker cakes covered with flowers and fruits across your social media channels lately and I honestly had no idea what they were called until recently. Officially they’re known as “Cream Tarts” but I’ve also seem them called cream cakes or cookie cakes. 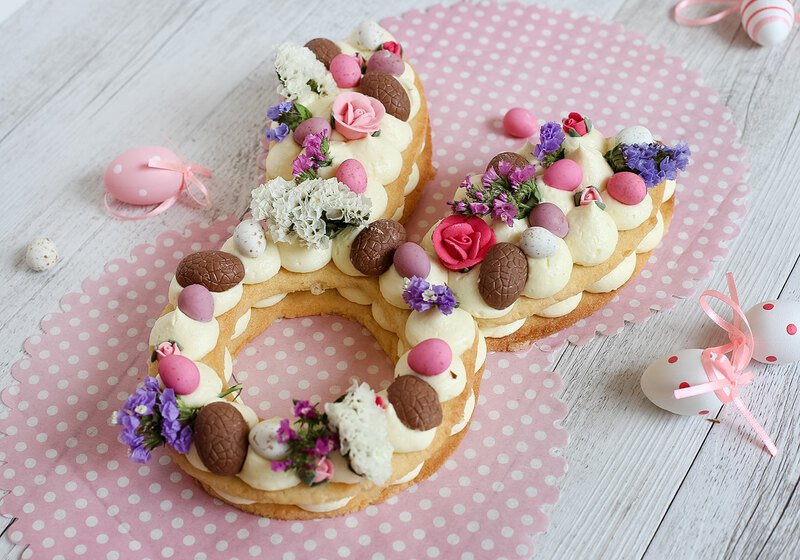 Letters (such as your first initial) and numbers (your age) are the most popular shapes to cut out of the dough and makes this cake design the perfect recipe for celebrating. 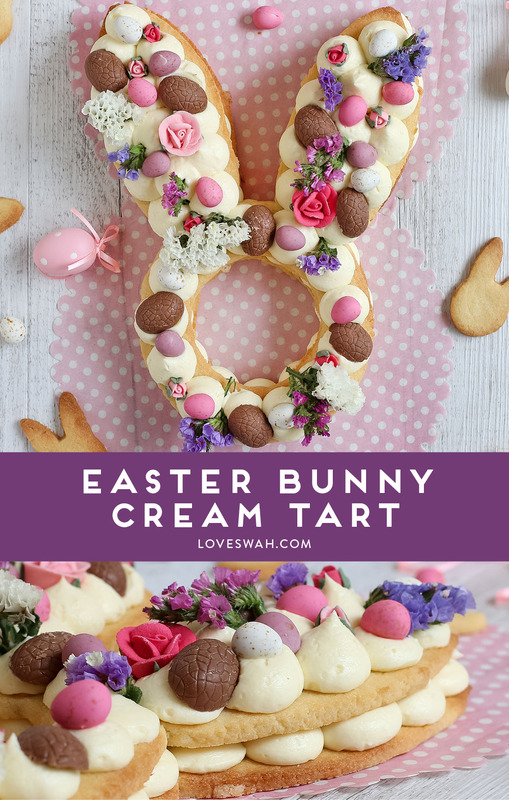 Since Easter is rapidly approaching us, I thought a holiday version of this trendy cream tart would be the perfect way to welcome in Easter 2018! 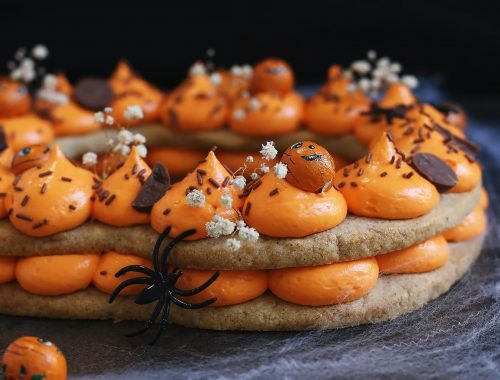 The dough itself is like a shortbread, and is extremely easy and quick to make. There was no need for cold butter or iced water as some of the recipes I came across needed, this was literally a case of mixing all the ingredients together until just combined. 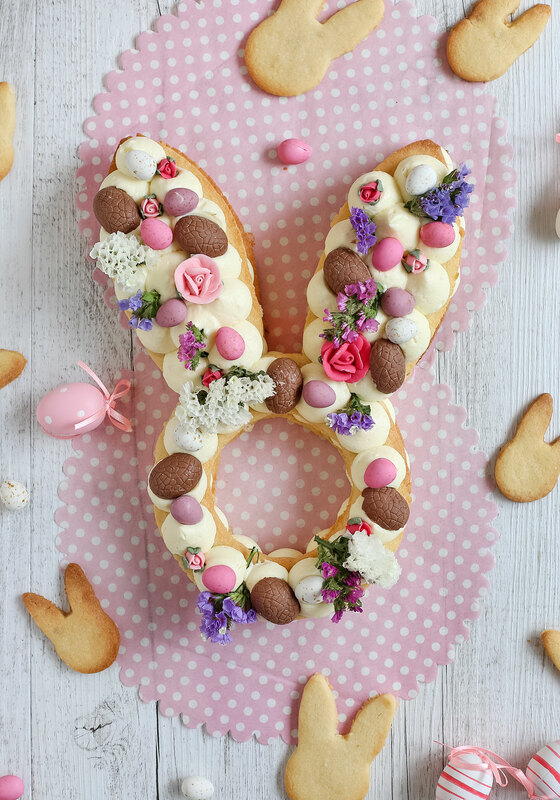 Next I rolled out the dough between two sheets of baking paper so it wouldn’t stick to my rolling pin, and gently placed my paper template of the bunny on top (you can download my template to print and cut out here.) 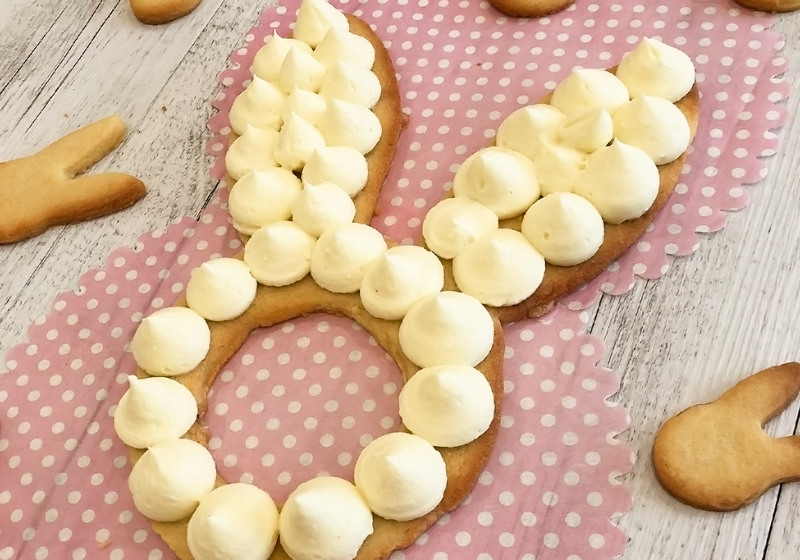 I then cut out 2 bunny shapes using the template and placed them on lined baking trays. I cut out some smaller bunny biscuits with the leftover dough for snacking. 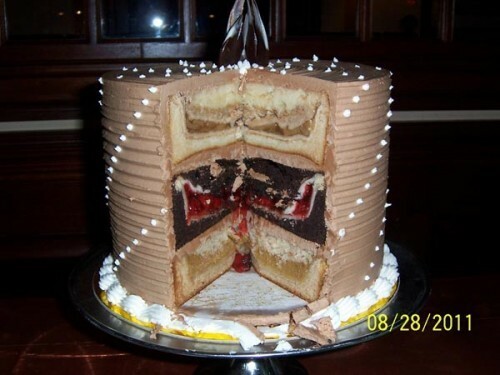 Once baked and cooled I made a delicious white chocolate ganache icing which I piped dollops over both layers. This icing was inspired by Sugar Hero and I tweaked her original recipe. It involves heating up cream and stirring in white chocolate until melted, then cooling it down. 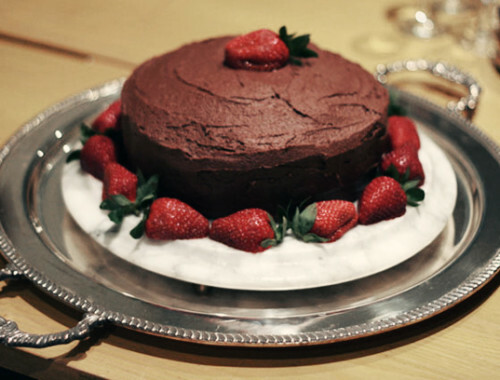 Once the ganache is cool you beat in cream cheese and it makes a lovely thick icing that isn’t too sweet, and it holds its shape well which is important in this recipe. 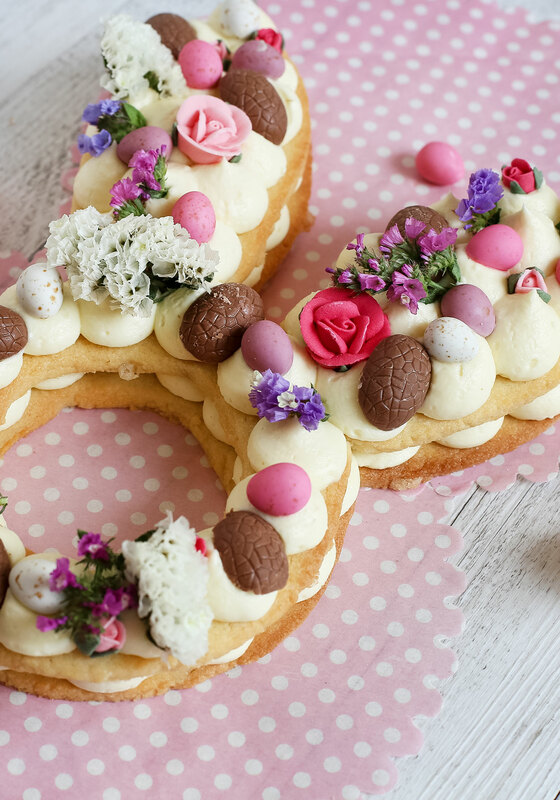 Whilst macarons, fruit and meringues seem most popular to decorate these tarts, I wanted to go with more of an Easter and spring theme. So I got a selection of fresh flowers and sugared roses, speckled pastel eggs and chocolate Easter eggs in various shades of pink, purple and white and dotted them over the icing. This tart tastes best on the day it was baked, and to be honest it probably won’t last much longer than that anyway! if you have leftovers, store them in an airtight container in a cool area and eat within 3 days. In a stand mixer, cream the butter, sugar and vanilla together until well combined. Add in the flour, egg and egg yolk and keep beating until the mixture forms a dough. Place dough between 2 pieces of parchment paper (so it doesn't stick) and gently roll the dough out to approx 3mm thick. If the dough starts to get too soft and unmanageable, pop it in the fridge to firm up for 10 minutes. 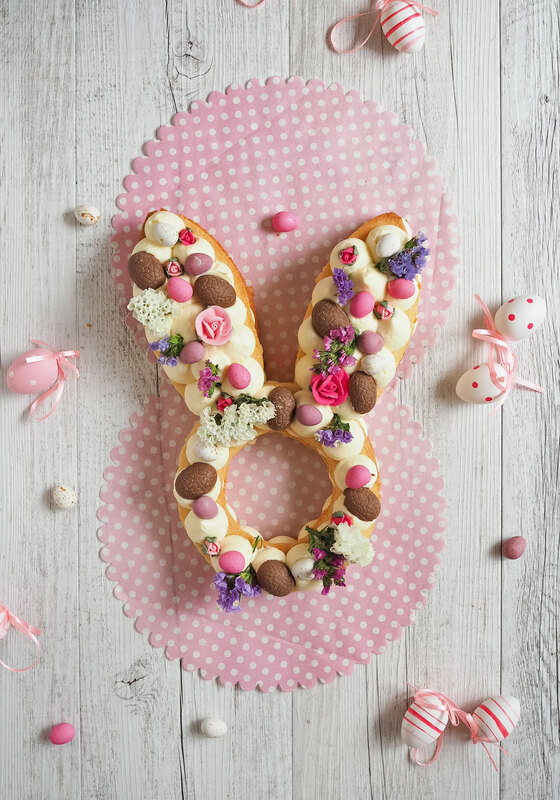 Using a stencil, cut out the shape of your bunny twice and place them on your lined baking trays. With the leftover dough I cut out smaller bunny shapes. Bake for 10 minutes or until the edges are a light golden brown. Bring cream just to the boil in a small saucepan. Remove from heat, add white chocolate and stand until melted (5 minutes). Stir the ganache mixture until smooth and glossy. Refrigerate until completely cool (about 1 hour). 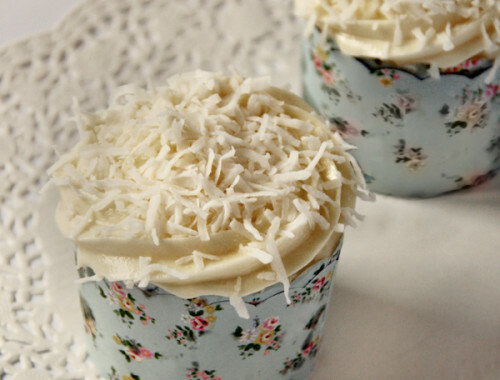 Place the room temperature cream cheese into the bowl of your stand mixer and beat until smooth. Spoon the mixture into an icing bag with a nozzle attached and pipe dots of ganache onto the first layer of the bunny cake. Gently transfer your second layer of bunny cake on top of the first layer, and continue piping dots of ganache until the surface is covered. 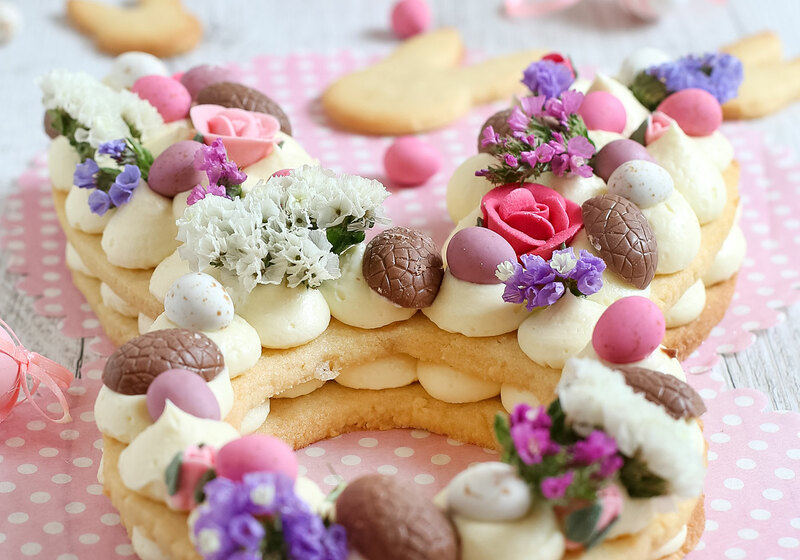 Decorate with pastel eggs, chocolate eggs, sugar flowers and fresh flowers. 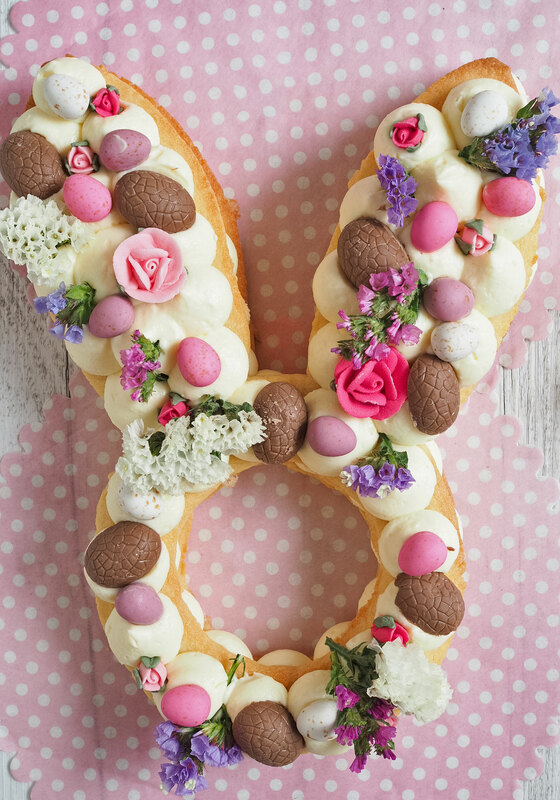 What are you baking for Easter? 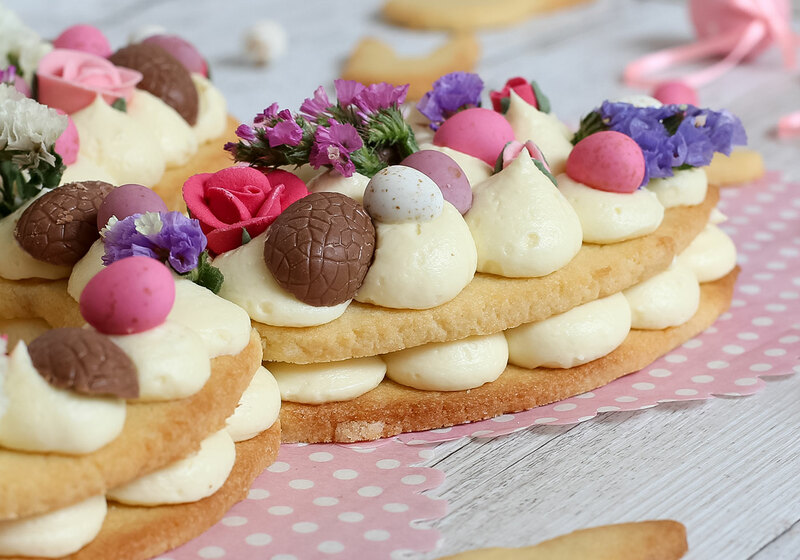 For more Easter dessert inspiration go here!